We will be hosting two 'Silent Santa' sessions for children with special requirements. These will take place in a quiet environment while the mall is closed to the public. Santa will be in attendance along with one special helper. 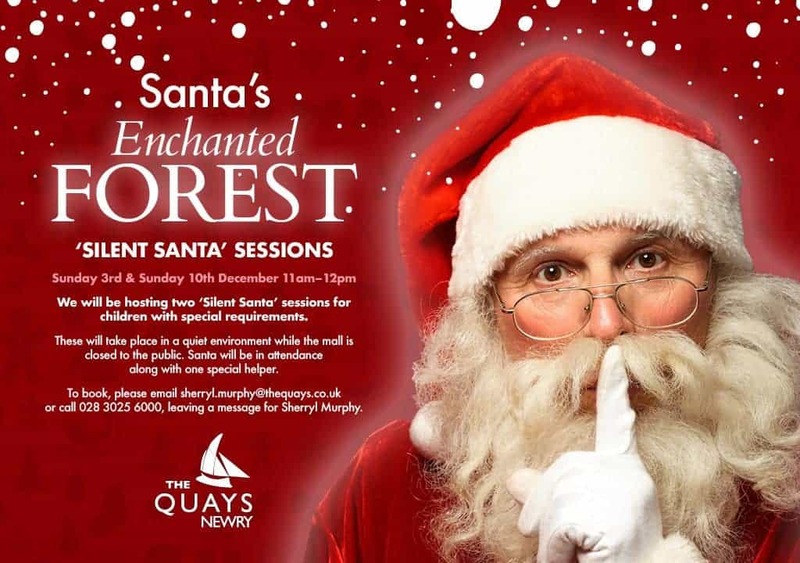 To book, please email sherryl.murphy@thequays.co.uk or call 028 3025 6000, leaving a message for Sherryl Murphy.